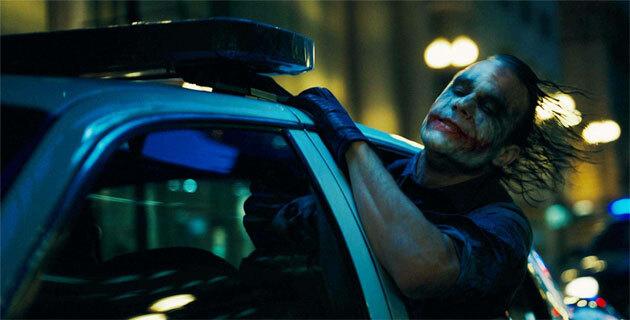 Rocksteady Studios made their mark on the video game landscape in 2009 with the release of their seminal Batman: Arkham Asylum, a title that perfectly captured the spirit of the Dark Knight’s comic book series as he battled a colourful cast of villains and inmates at the titular Arkham Asylum. Everything about Arkham Asylum felt note perfect. The dark, gritty presentation running on the Unreal 3 engine was as good as we’d ever seen Batman in interactive form. The play mechanics – which incorporated a ‘detective’ mode, a combat system that emphasized stealth over brawn and a compact environment that became gradually more accessible in Metroidvania fashion all combined to make a scintilating gaming experience and one of the best ‘super hero’ games ever made. Since then, both Rocksteady and their fans clearly had aspirations to see this formula applied on a larger scale. Bigger, better and in an open world environment. 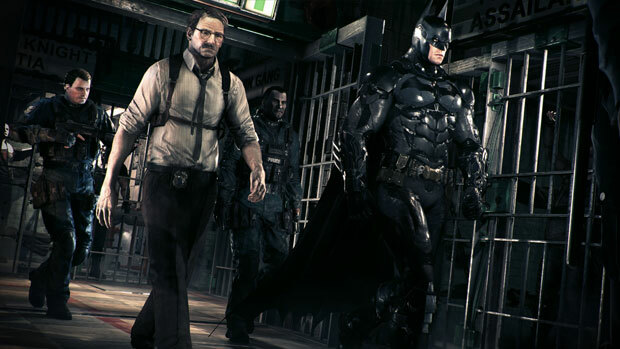 Rocksteady took one step towards realizing that goal with Batman: Arkham City which took place in a much larger environment than Asylum but still stopped short of giving players access to all of Gotham City. 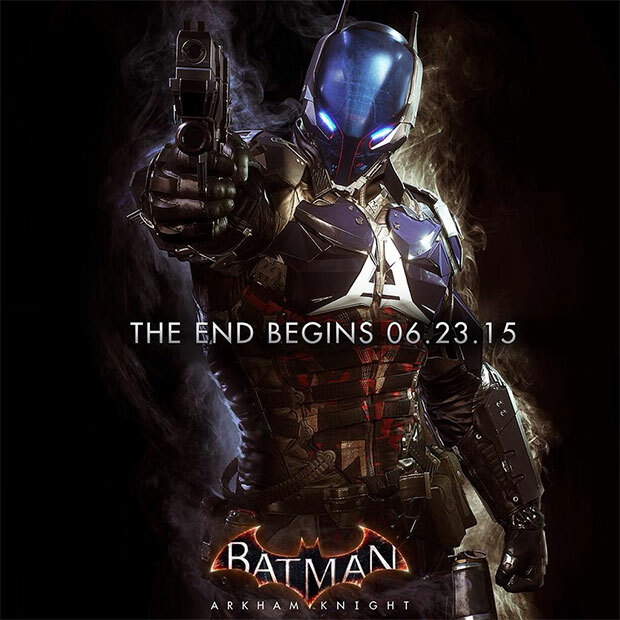 With Arkham Knight, their first game on the current generation of consoles, they have finally got there. 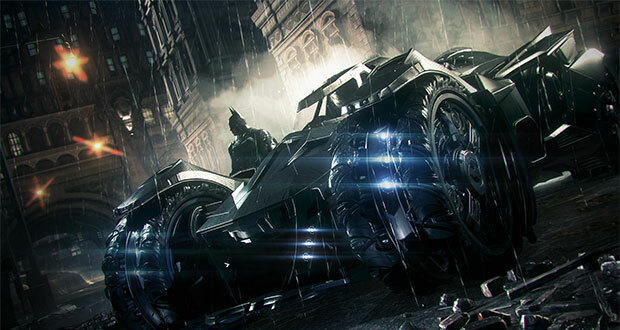 Not only can players traverse all of Gotham City, they can do so in a new mode of transportation – the oft requested Batmobile finally makes its debut in the series. Full scores to Rocksteady for delivering on wish fulfilment for their fans. They were clearly attuned to what their audience wanted and made that game accordingly. As expected, the game looks as gorgeous as ever and as an open world environment, Gotham City looks incredible with its distinctive art deco architecture, bright neon lights and neo noir landscape of rain and mist. The story picks up where Arkham City left off. Comic book deaths don’t normally mean very much so to drive home the finality of the events in the last game, Arkham Knight opens with Joker’s body being fed into a furnace. The stage is set for Arkham Knight when Scarecrow puts Gotham City on notice by threatening to release a new toxin city-wide that will turn anyone it engulfs into a crazed killer. 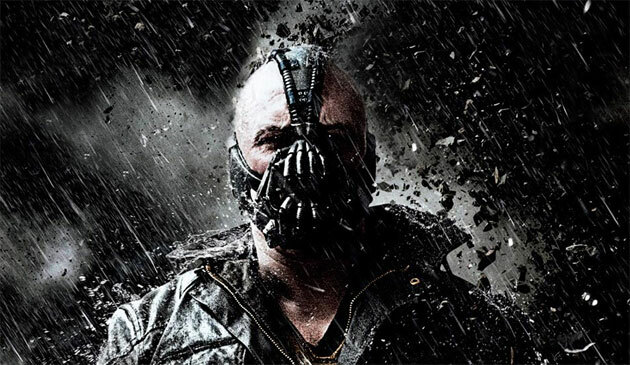 The city is evacuated and aside from a handful of cops and firefighters, the city becomes overrrun by Gotham’s criminal underworld. As Batman races to find the source of the toxins, he crosses paths with the mysterious Arkham Knight, a masked vigilante who appears to have a personal vendetta against Batman and who also seems to know everything about him. If that wasn’t enough, all of the usual cast of Batman villains begin to run amok and one of Bruce Wayne’s closest allies is afflicted with Scarecrow’s toxin and commits suicide in a fit of mental anguish. As you might imagine, Arkham Knight is everything you’d expect from a closing chapter to this hugely popular series. The landscape is vast, the cast has never been bigger and the stakes are as high as they’ve ever been. That’s why its so disappointing to discover, after the initial buzz wears off and you have a chance to delve a few hours into the game that its not quite as well executed as you’d hope. Firstly – let’s talk about the environment. It’s great to have access to Gotham City but personally, when I think about wanting to see Batman roam an open world city, I meant one that was actually populated with regular citizens of Gotham. Gliding around a near empty Gotham that is only populated by pockets of nameless thugs that take a couple of button clicks to dispatch wasn’t really what I was hoping for. Also, although Gotham looks more or less in line with what you’d want – that classic gothic cityscape of the Tim Burton films – its actually rather difficult to navigate in practise. There aren’t really many distinctive looking landmarks and even late into the game I found myself often referring to the map to get my bearings. It all looks rather samey. Next up – the Batmobile. Kudos to whoever it was at Rocksteady that decided that the Batmobile should handle like the cars from Criterion’s Burnout series. It encourage driving at breakneck speed and the generous physics when the car collides with its surroundings means that players should spend most of their time travelling at a million miles an hour and not having to focus on carefully navigating tight corners or other vehicles on the road. Having said, whilst I’m happy with how the Batmobile moves in general, it is also shoehorned into the game in other ways that feels incredibly contrived and silly. Taking its queue from the recent Nolan films, the Batmobile can be converted into an armoured tank that handles like a mech – it can strafe sideways and fire missiles and a grappling hook. These mechanics are then applied to several puzzles in the game where the vehicle needs to be navigated around incredibly tight, confined spaces as it is used to take out obstacles, work as a pulley and traverse through areas that Batman can’t reach alone. The use of the Batmobile in this fashion feels incredibly forced and incongruous with how the vehicle is utilized in the franchise. Another thing – entertaining side quests are the lifeblood of any open world game worth its salt and sadly the ones in Arkham Knight involving the Batmobile are dull and repetitive in the extreme. There are just two mission variants. One involves shooting about two dozen tanks. The other involves racing a van and trying to run/shoot it off the road. These two tasks have to be repeated over ten times each. It’s a real chore to do and feels like a blatant padding out of the content in the game. In fact, side quests in Arkham Knight in general are very, very poor. Considering the rich catalogue of villains and Batman lore in which Rocksteady had to draw upon, this is very disappointing. The game was also done no favours by launching so close to CD Projekt’s The Witcher 3, another open world game that spoiled gamers for content and was notable for how distinct and varied the side quests were. The Arkham Knight feels like an open world game from ten years ago with most side quests being blatant collect-a-thons that repeat the same task over and over. Find twenty firemen. Take out a dozen tanks. Deactivate a bunch of mines. Find two hundred Riddler trophies. Meh. Sadly, the storytelling in Arkham Knight is also pretty rough around the edges and a cut below the previous games. 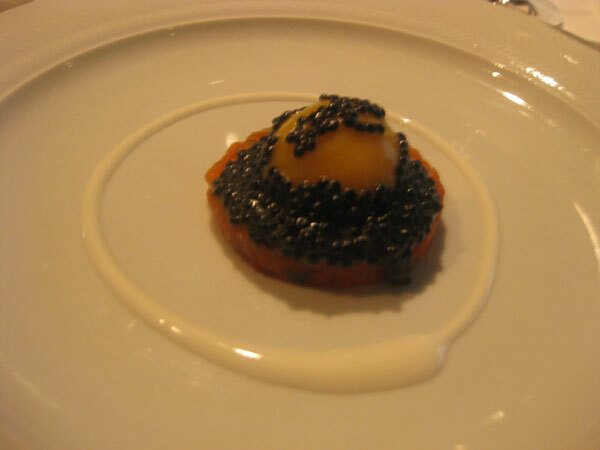 Perhaps in the past it had been a case of ‘less is more’. There was just enough information fed to you and Batman grunted just a handful of lines as necessary to tell an effective tale. 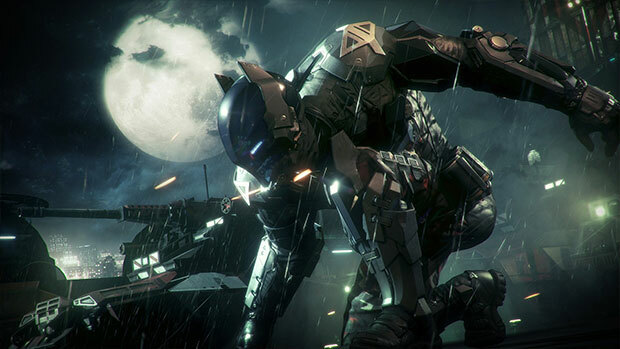 Arkham Knight, with its greatly enhanced production values, has a much more complex tale to tell with many more twists and turns than the previous games. The problem is that the dialogue is subpar and Batman’s lines make him sound like a selfish man-baby who doesn’t work well with others. He is written to be totally devoid of any charm. In Arkham Knight, the Caped Crusader spends most of the game refusing help, ignoring the advice of others and talking in a soporific monotone voice that kills dead any sense of drama or pathos that the script attempts. I think for a simplistic story that is also bordering on Saturday morning cartoon quality, it doesn’t earn the right to use the window dressing or the narrative beats that it does. In a bold indifference to any social changes in the video game community over the last eighteen months, the women in Arkham Knight are often scantily clad and blatantly sexualized for no good reason (what happened to Poison Ivy?!). The game also uses subject matter such as suicide and torture as pivotal points in its story which feels out of step with its otherwise juvenile and lightweight storytelling. Batman: Arkham Knight seems like a cautionary tale that bigger isn’t necessarily better and we should be careful what we wish for. Having an open world environment for Batman to explore seemed like a good idea. As did incorporating the Batmobile into the game. But in retrospect, it becomes much easier to appreciate just how important the tight, carefully designed environment of the original Arkham Asylum game was to its success. How much more fun it was in that game to stealthily take out four guards in complete silence compared to the combat in Arkham Knight where players often finding themselves mashing buttons endlessly as Batman wipes out twenty goons at a time. There are plenty of moments in Arkham Knight that are still fun to play. It’s a gorgeous looking game and gliding around Gotham City is still a thrill. But the extra layers of content add very little. Having a quest tracker that gives you dozens of missions to do is all well and good but not if most of them aren’t fun to play. The game’s appeal is a mile wide and an inch deep. At this point, I’d happily see Rocksteady move on from the Arkham series and try their hand at something else. They’re clearly very talented developers and Arkham Knight at its worst is still a mile better than the next best super hero game but overall, this feels like a bit of a misstep. How they recover and what they do from here will be interesting to see. 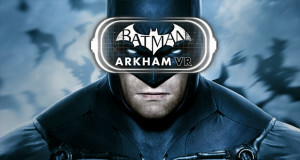 Summary : It's not quite the all conquering, perfect finale to the Arkham series we hoped for. The open world and the inclusion of the Batmobile doesn't do much for the game. The game still has its moments but overall, it is a disappointment.